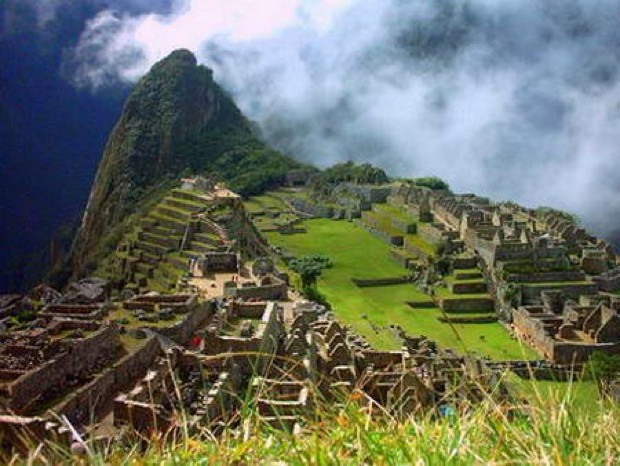 Let us show you Incan history and culture on this Cusco, Sacred Valley & Machu Picchu tour. On day one, you will be fascinated by the precision construction of the famous fortress of Sacsayhuaman and other sites around Cusco. On day 2, we take you to the lush and beautiful Sacred Valley which was the heartland of the Incan Empire. Here you see remnants of the Incas and see how the people living there today still preserve some of the Inca’s customs. On day 3, we take a magical trip on the train and bus to Machu Picchu, enjoying panoramic views in the Expedition train along the way. Then your guide will take you on a tour of this fascinating sanctuary, explaining the secrets of this previously lost city. Arrive at Cusco and transfer to your hotel. You have the morning free to acclimatize to the altitude (3400 m). In the afternoon, we take you on a city tour (5 hours) which includes the most important sites of Cusco history. Such as the famous fortress of Sacsayhuaman, an amazing example of Incan precision construction, and the Temple of the Sun (Sunturwasi). This tour also includes visits to places located around the city, such as Tambomachay (bath of the Inca and sacred spring for the worship of water), Kenco (astronomical observatory) and Pucapucará (military strength monitoring). Overnight at the hotel (including breakfast). This tour begins at 8:00 am. We visit Pisac and enjoy its craft market where the farmers and artists congregate to offer their better products. Then we go to Calca village, Urubamba where we have lunch in a rustic restaurant. The tour will continue on to Ollantaytambo, which is described as a living Inca town. It is an impressive fortress town that was built up during the reign of the Inka Pachacutec, and is an excellent example of the military architecture of those times. Here you see the fortress and carved stone terraces built into the side of the hill. A fascinating piece of precision Incan construction. On the return trip to Cuzco, we visit Chinchero, where the residents speak Quechuan and still preserve Incan customs. They make colourful handicraft and wear traditional dress. At 5:45 am, we pick you up and take you to the train station, bound for the town of Aguas Calientes. Travel is in the air-conditioned, comfortable “Expedition Train", which has large panoramic windows so you have wonderful views of the mountains and amazing landscape. At approximately 9:40am, we arrive at Aguas Calientes, where we take a bus up to the ruins of Machu Picchu. Once at the ruins, the guide will explain everything regarding this historic and fascinating sanctuary, set amongst magnificent mountains and rain forest. You have time to explore this impressive construction and marvel at the precision of its workmanship. (Box lunch optional). Return to the city of Cusco. Overnight at hotel. Transfer to airport or bus terminal. Enquire Now Note: The price is based on double or twin accommodation. A single supplement applies, if you request single accommodation. Note: Prices are estimates and are subject to change slightly, until yur reservation is confirmed.